There are a number of HSE Schemes that may be of benefit to people with Syringomyelia. Schemes such as the Domiciliary Care Allowance, the Long Term Illness Scheme, the Mobility Allowance and the Motorised Transport Grant. 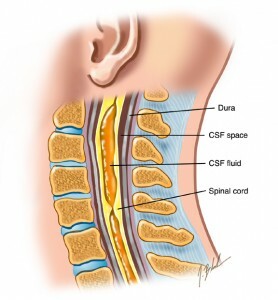 Syringomyelia is a hollow, fluid filled cavity (syrinx) in the spinal cord. It is not common, but sometimes develops months or years after injury. The cavity can slowly increase in size and extend up or down the spinal cord. As the syrinx expands, it can result in pain along with an increased loss of sensory and motor function. The primary risk of syringomyelia is a loss of function above the level of the original spinal cord injury. For example, a person with a T SCI may complain to his or her doctor of numbness and weakness involving the extremities. The condition will progress with time and needs to be treated aggressively through surgical drainage. Often the condition of people with early evidence of a syrinx will be monitored to evaluate its progression.